..is guitarist Stuart Timmins. With influences as diverse as The Cure, DJ Shadow and The Beatles, the talented musician has been involved in a number of projects since the mid-nineties. Most notably, he was lead guitarist with The Caines, a Wirral based 4-piece who formed in 2003. Along with his band mates, he enjoyed the best part of a decade recording and gigging, making a dent on the North West music scene. The departure of vocalist Skilly Lewis to form The Harbour Social in 2011 would see the remaining members continue as General Elliott, though struggling to maintain the same momentum, the band was put on temporary hiatus. Keen to prove himself as a musician and songwriter in his own right since he was in The Caines, Stuart has spent the last two years working on a project that has allowed him to really stretch his wings. Investing in state of the art recording equipment and perfecting his recording skills as he learned how to use the software (finally progressing from his ramshackle 4 track demos! ), he has gradually composed a consistent yet diverse body of work, utilising a number of different instruments. Continuously evolving, My Mind Pictures' music contains elements of alt. rock, folk, dance, dub and film soundtracks. This eclectic combination of styles has produced some truly exquisite sounds, showcasing the talents of Stuart Timmins perfectly. 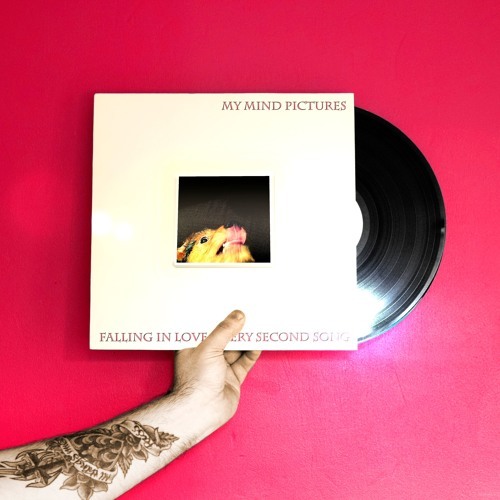 Additionally, Stuart has recently begun a degree at Glyndwr University studying Sound Technology, which will enable him to further his own musical and production skills for his own My Mind Pictures project and work professionally in the music industry. Stuart has recently reunited with Lewis in The Harbour Social on bass and plans to resurrect General Elliott soon.